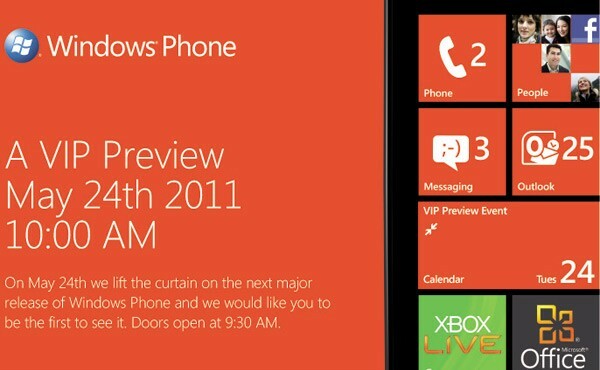 A couple of weeks ago we started waiting on Microsoft’s May 24th Event to show case Windows Phone 7.5 update Mango. Andre posted a summary of some new features we can expect over WP7. 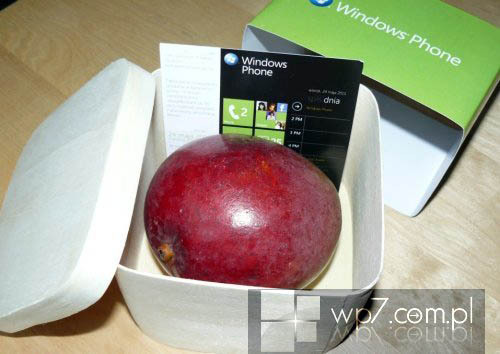 You might have seen that Microsoft’s invites to the event included a real Mango. Hey Nokia, real Anna’s for PR2.0 release :p.
Rumours has it that there’ll be some Windows Phone devices released. 9 in total. 2 from HTC (including the rumoured 16MP shooter), 2 from Acer, 1 from Dell, 4 from Samsung including a SGS II Windows Phone version. None from Nokia it seems – the most anticipated manufacturer of Windows Phone and the critical player to give WP a hope in hell of being relevant in the mobile space. Don’t get too hopeful, there’s counter rumours that it’s just software. What is this 10am? Why no freaking time zone?